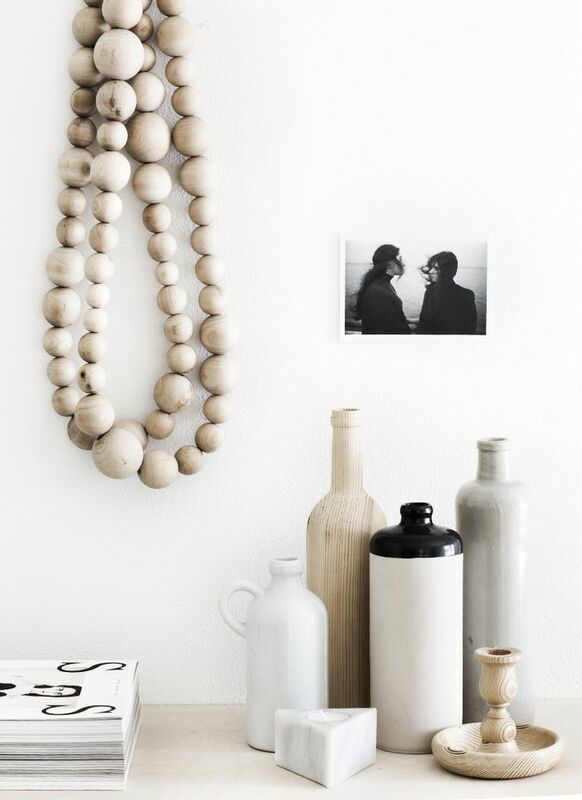 Candles create the perfect decorative element for any vignette. 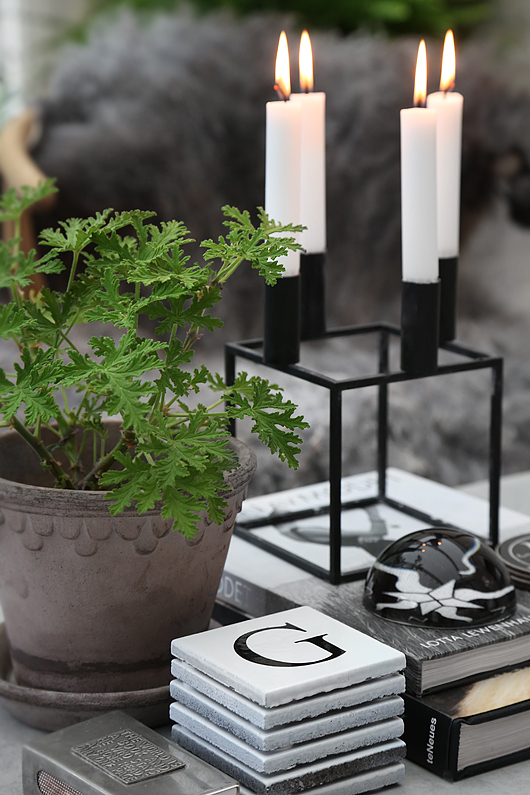 In addition to scented candles, I really love displaying both candlesticks and tealights, especially when they're placed in beautiful candleholders. 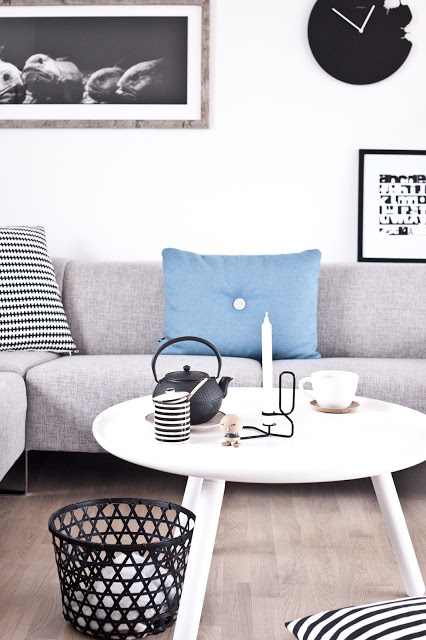 Whether you're styling your coffee table, dining table, sideboard or bookshelves choosing the right ones for your space will add impact and when lit, will create a cosy atmosphere, especially in winter. 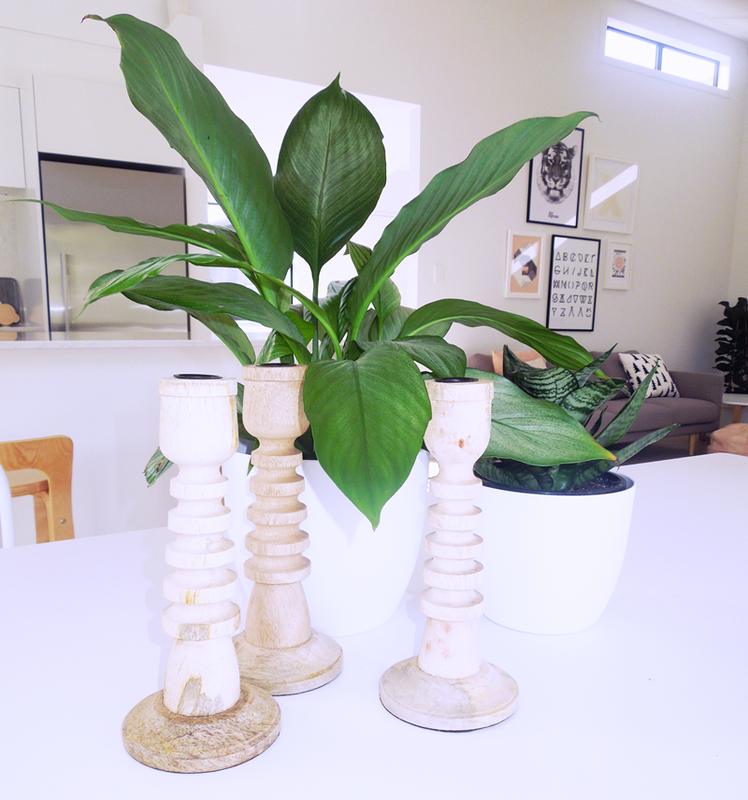 I recently purchased these beautiful natural Candleholders from LET LIV, which I've placed on the dining table alongside a couple of plants. All I need now is some candles! 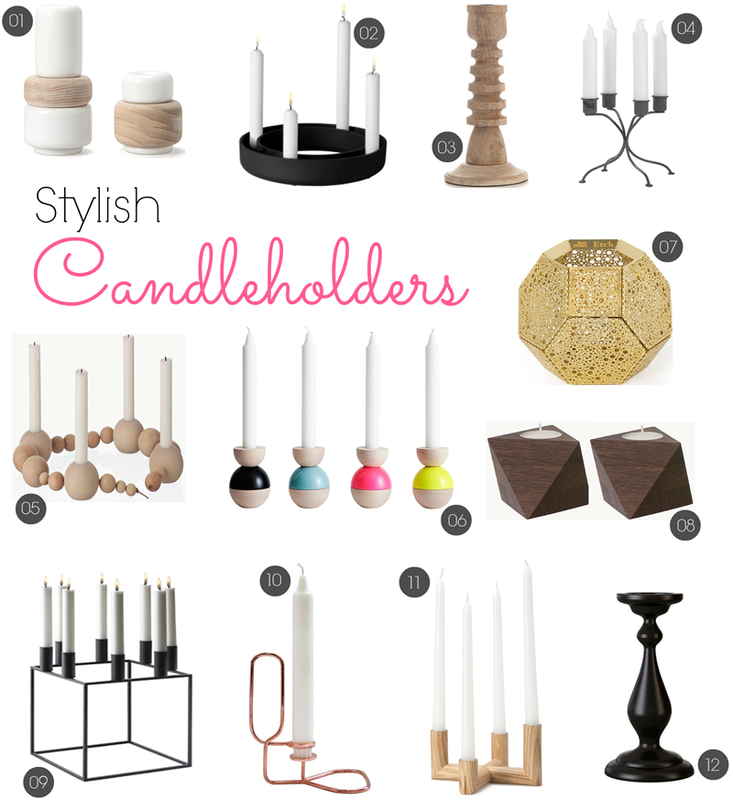 Here are some more examples of stylish candleholders, all beautifully styled. 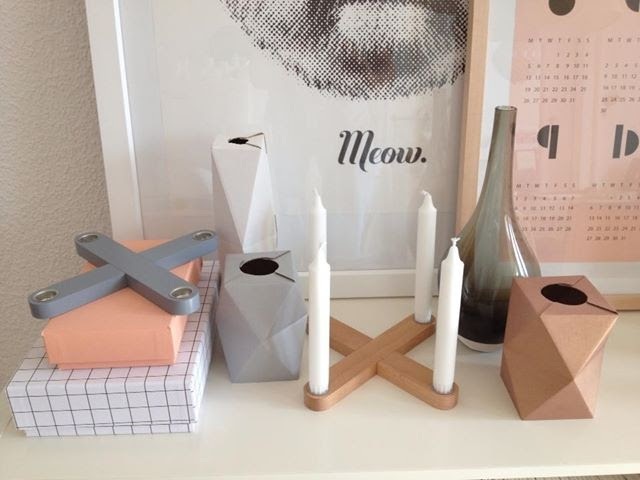 I love the Kubis range of candleholders from Copenhagen designers by Lassen. 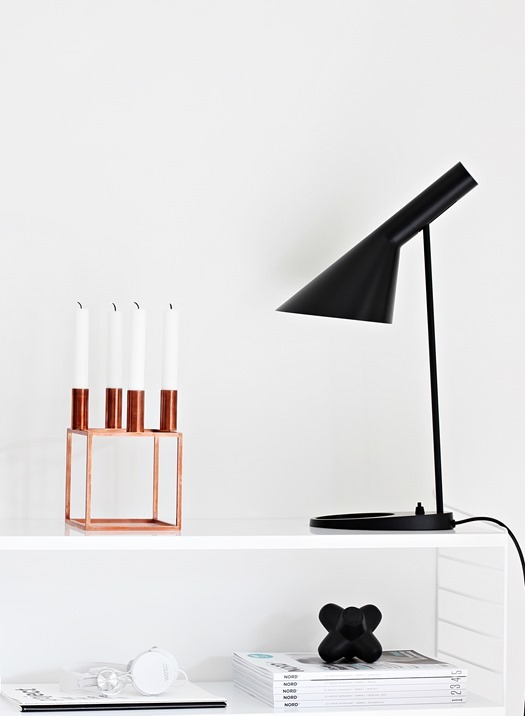 Available in different shapes and sizes they come in black, white and copper. 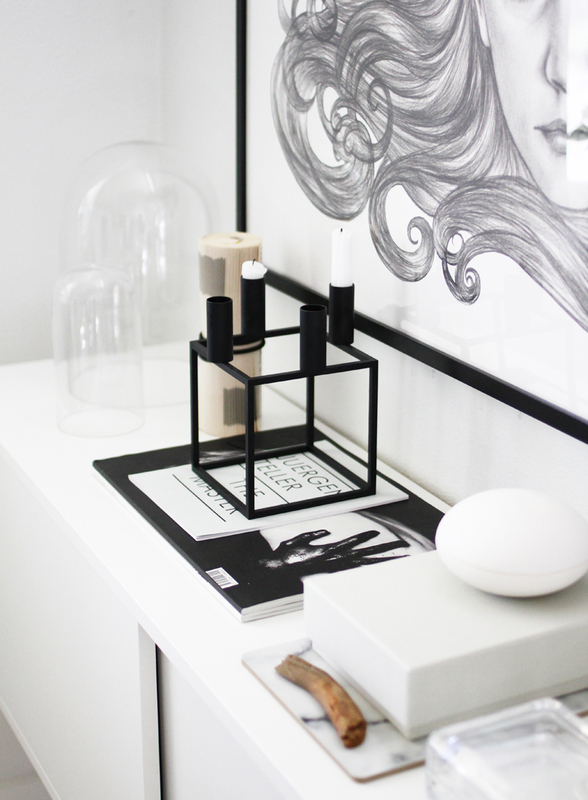 The gorgeous home above belongs to blogger and stylist Nina Holst of Stylizimo. 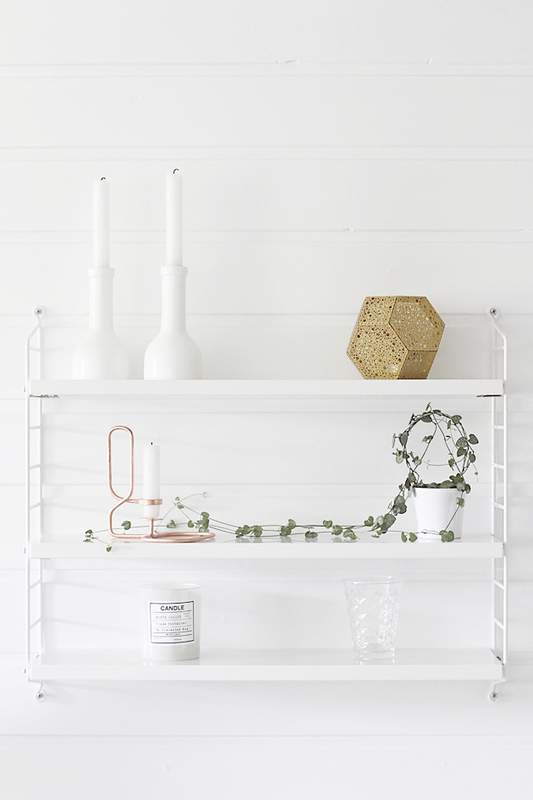 She also found the brass candleholders below from a second-hand shop. 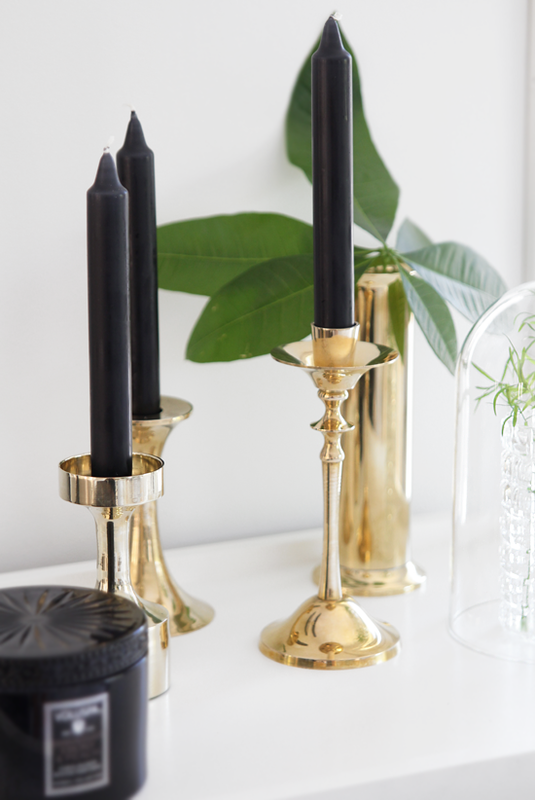 Polished up and paired with black candles, don't they look fabulous? Inspired by the images above, I did a bit of searching around the web for online finds. Here are my 12 picks. 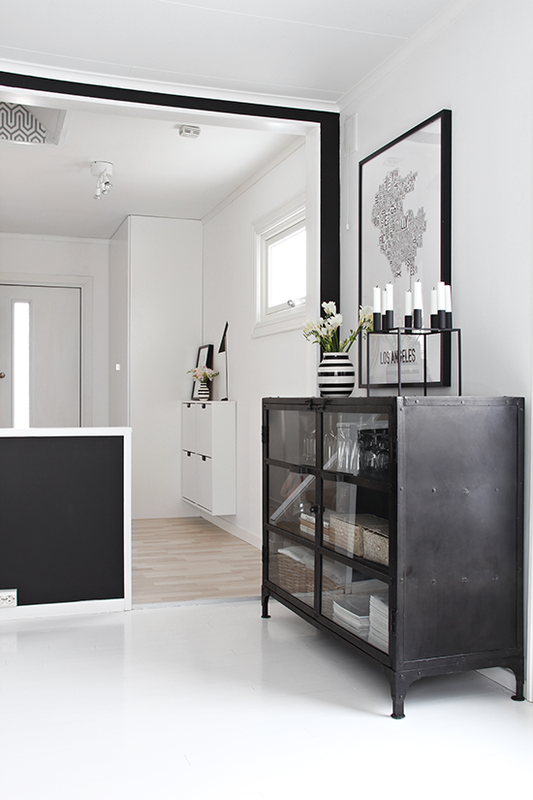 If you are in Australia, Fred International is the importer of the By Lassen range. Hi Michael. 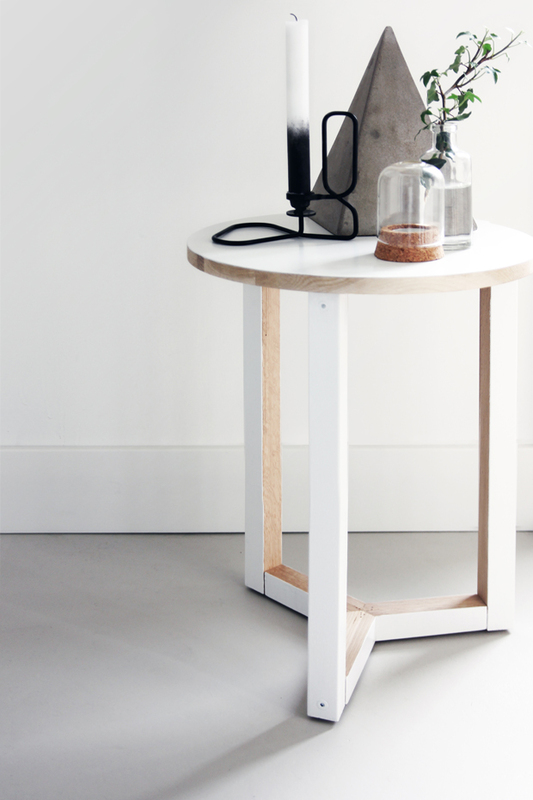 I'm in NZ, however I've just seen that IDH are now working with you and selling the Kubus range. They are one of my sponsors (and ship here) so that is wonderful! Thanks for the tip! Thanks ! A nice touch is to use coloured candles. Bougies La Française have a great selection.